These fun, quirky characters are called The Zelfs, they live in the funky magical world of Zardenia, a garden transformed by magic. Each Zelf has their very own Fabitat. The Zelfs provide special powers to anyone who takes care of them. 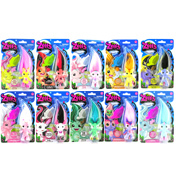 Here at WWSM we offer a selection of Zelf figures including Little, Medium and Large Zelfs. Within each collection there are loads of characters to collect. 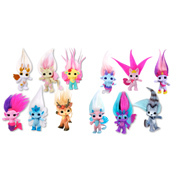 The Lil' Zelf figures can be used as pencil toppers and the medium Zelfs come with their very own accessories. 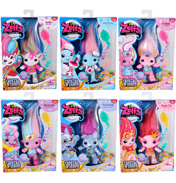 Explore the magical world of The Zelfs and enjoy some enchanting fun! When the twilight moon is in the sky, the Zelfs appear in a secret garden called Zardenia, an enchanted world of magical Fabitiats disguised as garden stuff. Like a butterfly cocoon is now Zardenia's trendiest Flitterpad. It's a Zelf Fabititat! Get it, right? Love your Zelf and they'll share their special powers.